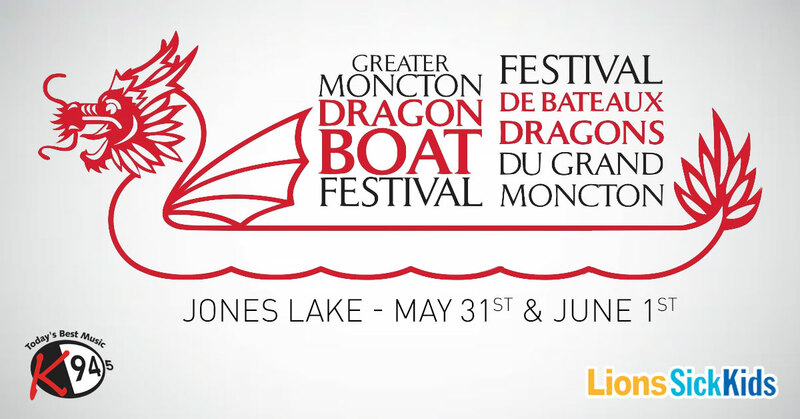 Come join us at Jones Lake May 31st & June 1st for the Greater Moncton Dragon Boat Festival! A fantastic fundraiser for the Lions Sick Children’s Fund, supporting children & families throughout the tri-community! 60% of all funds raised go directly toward the Lions Sick Children’s Fund, while the remaining 40% of your team’s funds go to a charity of your team’s choice! Build your team of 20 paddlers & have a blast in the Community & Corporate Challenge races June 1!